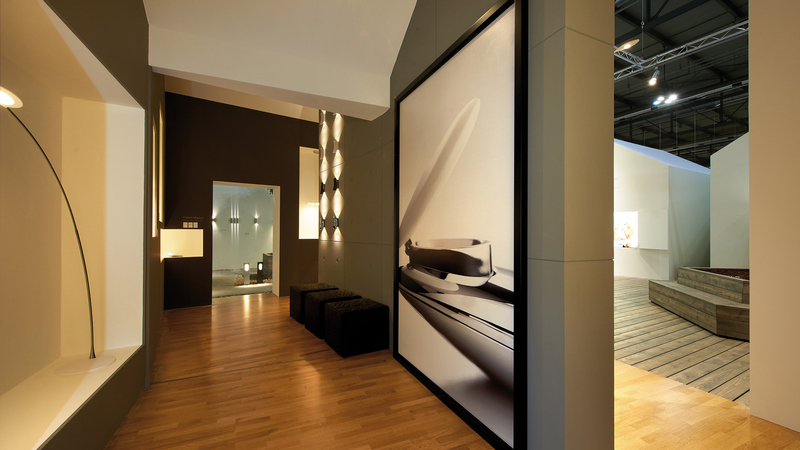 A town of lights opens up to the visitors at the fair stand of Philips Consumer Lighting at the Euroluce 2011. 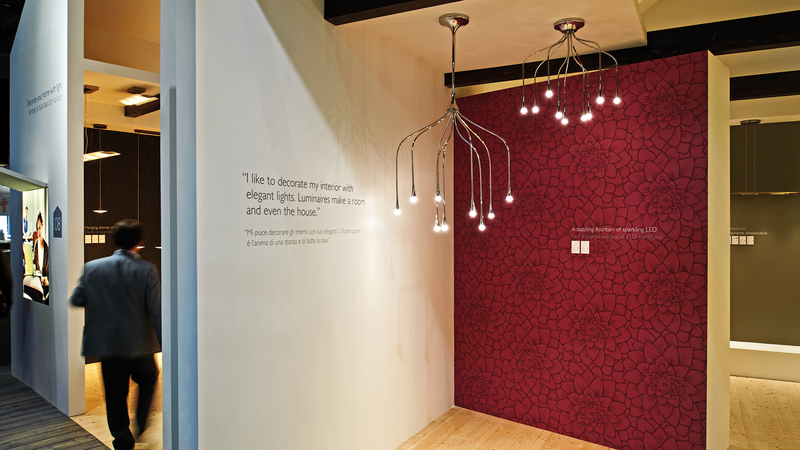 Philips Consumer Lighting presents itself at the Euroluce 2011 with a city of light. Multiple houses structure the different company topics architecture- and content-wise and visualize the main theme “See what light can do for your home”. With the arrangement of different living situations the topic life and living with light is highlighted. 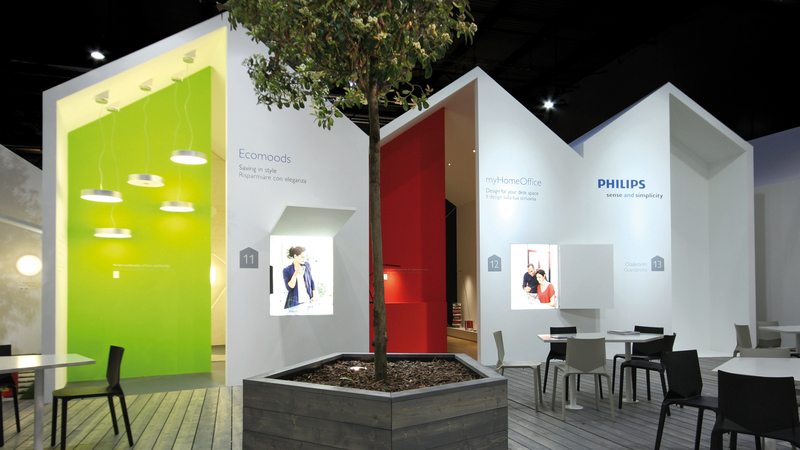 The fair appearance presents the whole spectrum of Philips solutions for lighting at home in overall 14 houses that are structured according to their content. 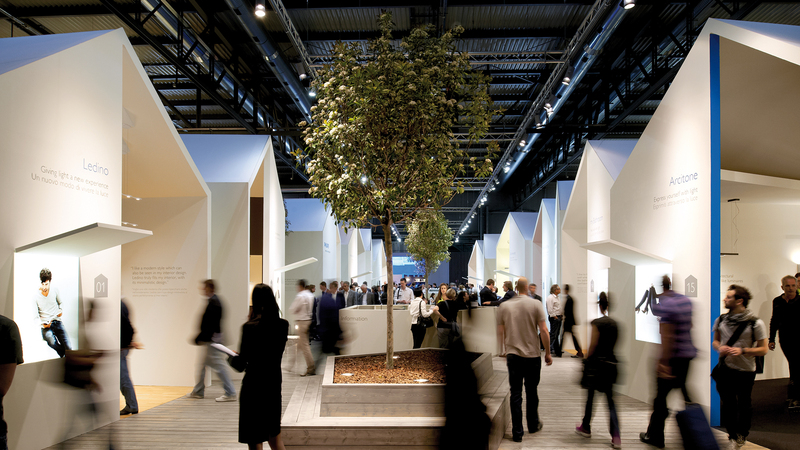 The row of houses frames the stand area and serves the visitors as an invisible path. 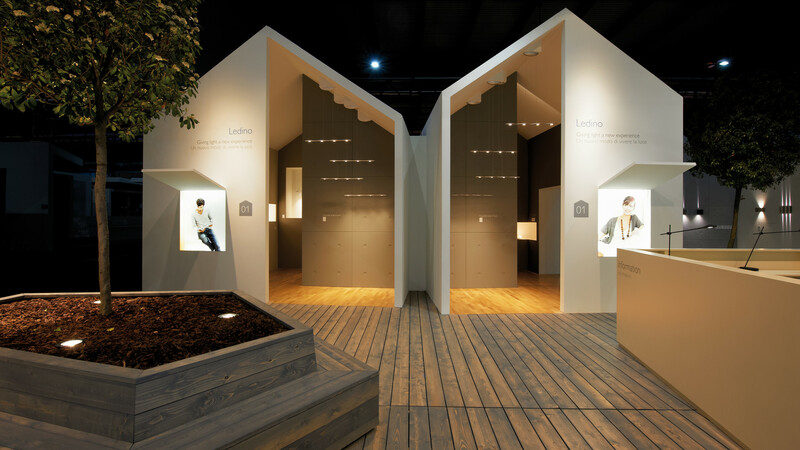 In the stand’s centre, the houses form a piazza for relaxed information exchange between expert visitors. Overall 12 topic areas are presented in separate spaces. Windows in the houses function as signs with names and open up the topic’s content of every single house with the campaign image, logo and colouring. The presentation of outdoor lighting finds an authentic platform in patios with real trees. With the shifted arrangement of the houses the fair design creates accents: Philips Consumer Lighting stands out with its house facade from the conventionally orthogonally-shaped fair design.